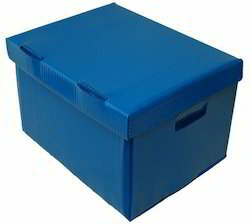 With sincerity and hard work of our experts, we have carved a niche for ourselves in this domain by manufacturing, exporting and importing Demonstration Plastic Corrugated Box. We are quality supplier of packaging Items in Vadodoara and suppling across India.We are dealing in AIR BUBBLE, BOPP TAPE, EPE FOAM SHEET, EDGE PROTECTOR, HMHD POUCHES, PAPER PALLETS, PP FLUTES , STRETCH FILM, U-FOAM SHEET , f VCI POWDER, WOODEN PALLETS ECT. 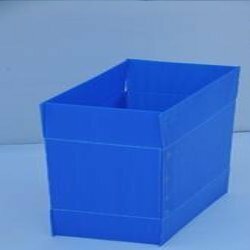 PP Flute box- used for industrial storage purpose, and protect product from getting damaged.We are also giving customized solutions.